Why is This Tribute is most meaningful to us ? The beautiful and artistic drawing by the student shows how much hard work and perseverance he has put into drawing the picture of LKY . 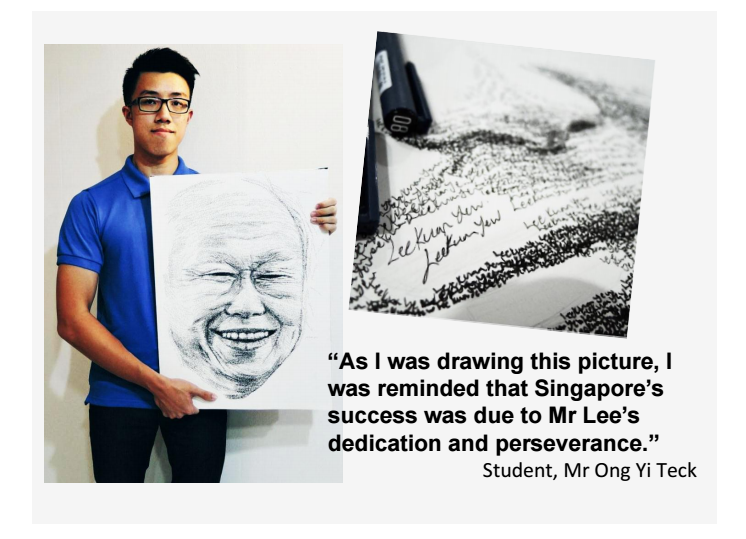 This shows how much respect the student has for Mr Lee and how he wants to repay his gratitude to Mr Lee via this drawing . The drawing shows how much dedication and contributions Mr Lee has made to Singapore and hence , this chosen tribute is most meaningful to us .